Prarabdha Karma: According to this, the body or tenement the soul chooses to be born in is not under human control and depends on the sum-total of favourable and unfavourable acts performed in a previous life. So also the time of death. If your time on earth is not over, you cannot die no matter what happens, but when your time comes near nothing can save you. Samchita Karma: This is the accumulated Karma of previous births which gives us our characteristics, aptitudes, etc. This is changeable and man can improve his habits, get rid of evil thoughts and desires while a good man can fall on evil ways. 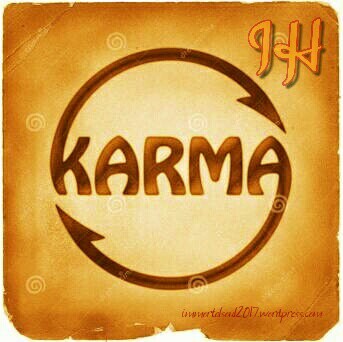 Agami Karma: This Karma consists of actions in our present life which determine our future in this life as well as in the next. The best or ideal Karma is the one which is performed as a point of duty towards God or mankind without seeking any rewards (Nishkama Karma). What is important to note is that it discourages Karma for sense gratification. It tells you to do Karma to help the society, taking this as your duty. This is what Karma-Yoga is all about. And when you remove “I” or ego from the equation, you are automatically free from all worries and are detached from the results for personal gains, but never are you short of motivation. You are motivated to perform your duty to uplift the society. This is clearly indicated by the fact thatArjuna was told by Lord Krishna to fight the battle and kill his relatives, not for earning the kingdom for himself, but for the good cause of defeating the evil forces. Previous Article हिन्दुत्व क्या है ? Nice one Shraddha. Very informative. i had no idea about all this. When you become silent, Karma starts speaking.